The new rule in the NBA? If you're a coach or an executive, you essentially can't say anything about any player that isn't on your team. Not a word. It's an easy mistake to commit. Voluntarily commenting on the possibilities or the desires of your franchise is one thing, but it's even more difficult to avoid when it's served up to you on a silver platter during an interview. Milwaukee Bucks co-owner Marc Lasry found himself in that precise situation when he responded to a question about Anthony Davis' interest in Milwaukee. And now, he's paying for it. The league has fined Lasry $25,000 for those comments about the Brow potentially heading to Wisconsin. 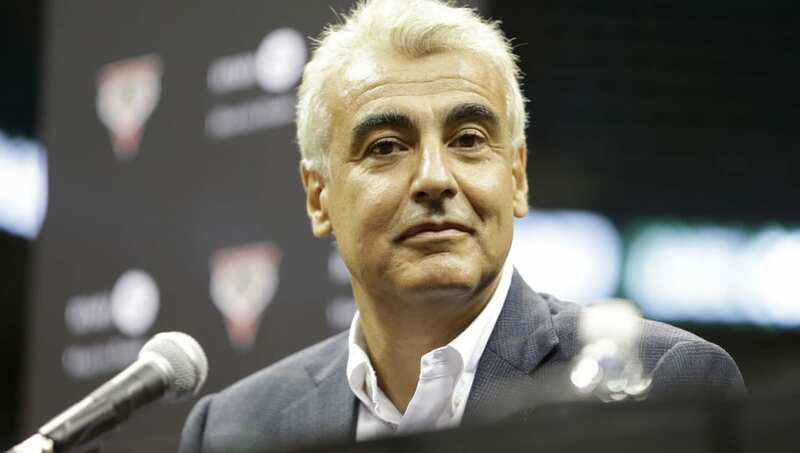 Bucks co-owner Marc Lasry has been fined 25K for his comments about Anthony Davis, league sources tell ESPN. The comments violated league tampering rules. It's not like he came out and said it on his own. What is he supposed to do, be a jerk and stone-face the reporter? Lasry's comments couldn't have been more harmless. When asked about AD's interest, he said, "The whole goal is winning, so we hope it would be players like Anthony Davis and others who want to come to Milwaukee." Hey, NBA, guess what? Every single owner wants to win, and every single franchise wishes the best players would choose their city. This isn't tampering as much as common sense. That a single owner in the league wouldn't want Davis on their team is simply not believable. Equally unbelievable would be the idea that a single small-market co-owner could do literally anything to corrupt or destabilize the trade climate for AD this summer. Lasry has more than enough money to pay for something like this, but it's the principle that the league may be getting a bit too ridiculous with this tampering rule.